I don't see this posted on Kotaku main so I'm posting it here. 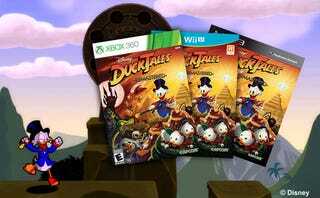 Capcom will be releasing DuckTales Remastered on disc in store on November 12, 2013 for $19.99. Yeah, it's $5 more but it's on disc! So maybe there is hope for a AA5 physical copy. Maybe.